Siemens, unable to find a buyer for the CSP remnants of Solel, lays off 150 workers. 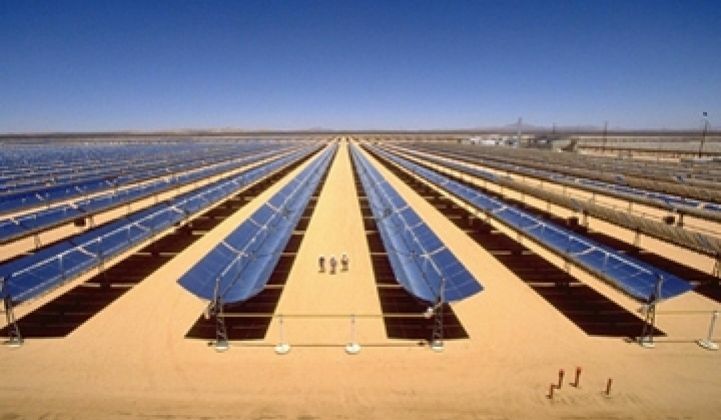 Concentrating solar power (CSP) via solar trough technology is struggling. In October 2009, German industrial giant Siemens bought solar thermal trough firm Solel for $418 million from founder Avi Brenmiller and other investors. In October 2012, plummeting PV costs, among other forces, drove Siemens to announce its intention to exit the solar business. It would sell off its solar assets, starting with what was once Solel in Beit Shemesh, Israel. The firm has lost more than $1 billion since 2011, according to Bloomberg. Last week, Siemens Solar Thermal sent 150 of its 200 employees home, having failed to find a buyer at the right price, according to reports in Globes. Spain's Abengoa was one of the bidders, but the firm "withdrew its offer because of uncertainty about the market's future, even though Siemens had agreed in principle to finance the plant's operations for two years, 'until the picture clears,'" according to Globes. Founder Brenmiller was also said to be making a bid for his former firm, according to reports. At one point, the facility had 400 employees. The firm's remaining employees will support existing Spanish projects, one in operation and three nearing completion. Solel was one of the early solar thermal players, building hundreds of megawatts of parabolic trough solar thermal plants in California's Mojave desert in the late 1980s and early 1990s. These solar systems use curved reflectors that track the sun and focus sunlight on a receiver tube filled with a fluid that when heated is used to create steam to drive a generator. Trough technology would seem to have lost its advantage not only to photovoltaics, but to solar power tower technology, as well. A 44-megawatt CLFR solar augmentation project in Australia (similar to Tucson Electric). BrightSource have been rocked by challenges in finance, permitting, personnel, and regulatory domains. 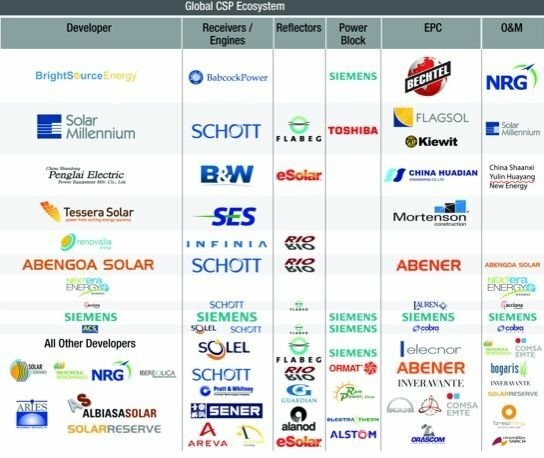 Other CSP firms include eSolar, along with smaller-scale solar modular trough firms such as Suntrough and Sopogy. With plunging PV prices on one side and historically low natural-gas prices on the other, CSP technology still has its work cut out for it.